Red & Blue Ruled Dry Erase Boards, Two-Sided are great for teaching and practicing fundamentals at the early learner stage. Bright white board contains 5 sets of blue headline and broken midline plus red baseline format. Each line set measures 1 1/8" with 3/8" of blank descender space between sets. Back side is plain white dry erase. 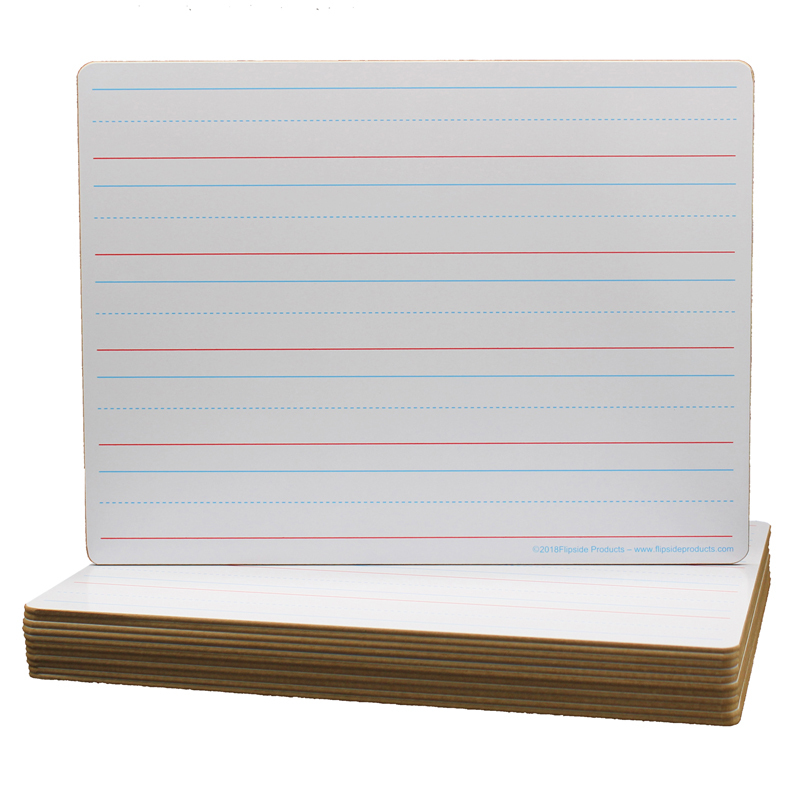 Boards feature a high-quality, non-ghosting write-and-wipe surface with smooth, rounded edges and corners. Hardboard backing will not warp or chip. Measure 12" x 9" x 0.125"